This rustic farmhouse style twine holder with twine and vintage-style kitchen utility scissors is one of the most popular items in our collection. 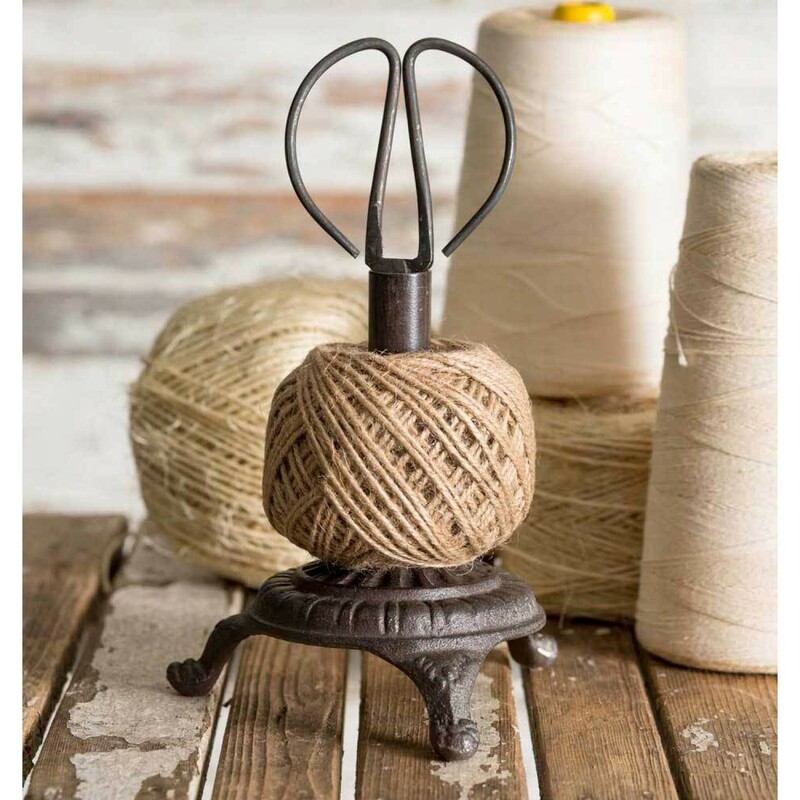 Offering a feel of sturdiness with its cast iron construction and featuring a vintage-inspired design this twine holder with scissors will add an antique farmhouse touch to any interior. There are many ways you can use this twine holder - place it on your living room coffee table, kitchen counter and even on an office desk. Perfect for an industrial-themed home or a commercial space. The included hank of twine is rolled around the tube-shaped stem that also serves as the holding compartment for the shears. 5" dia. x 8½"H including scissors. Includes: cast metal base, twine, and scissors. Scissors measure 5" x 3".